Vietnam is building its own 2050 Calculator which will allow anyone with an internet connection to explore how Vietnam can pursue low carbon growth over the coming decades whilst providing enough energy to meet the county’s needs. 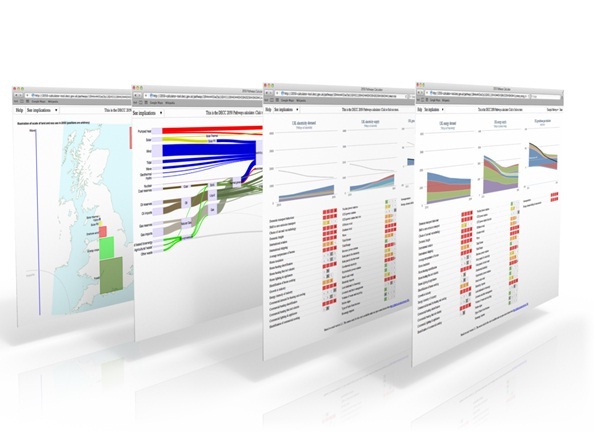 2050 Calculator was developed by the Department of Energy and Climate Change to model the UK. China and India have already tailored their own models with supports from the UK. The 2050 Calculator is an open source model of energy and emissions that can be used to identify a range of physically possible scenarios for the future. This could be with the aim of reducing emissions to tackle climate change, improving air quality, or reducing dependence on fuel imports. It was initially built by the UK government, but has since been adapted by China, India, South Africa, Japan, South Korea and Belgium. MOIT in Vietnam is now working to develop a Vietnamese version. How much energy can we supply from different technologies? How much energy do different sectors use and how can we change this? What is the cost of different energy pathways? Which sectors are the ones we should focus on? Which are less important? What emissions reductions could we achieve? What could happen to our energy dependency and security? Vietnam is building its own 2050 Calculator, an open-source tool, which will allow anyone with an internet connection to explore how Vietnam can pursue low carbon growth over the coming decades whilst providing enough energy to meet the county’s needs. 2050 Calculator was developed by the Department of Energy and Climate Change to model the UK. China and India have already tailored their own models with supports from the UK. The Ministry of Trade and Industry (MOIT) and cross-sector experts in Vietnam will work closely with the UK’s Department of Energy and Climate Change (DECC) over the coming year and a version of the Vietnam 2050 Calculator is planned to be completed in November 2014. DECC is providing nearly £138,000 from its International Climate Fund (ICF) to support MOIT as well as training and support throughout the project. The goal is to facilitate a discussion across Vietnam on the low carbon development options available, and to use the results of this work to inform the decisions of policy makers. The 2050 Calculator can outline, in minutes, months of work from technical experts. It allows you to answer the fundamental questions of how far you can reduce emissions and meet energy needs. With three different levels of detail it can be used to engage technicians, policy makers and the public on how a country’s emissions could change overtime. It brings the story around low carbon development alive, showing the benefits, costs and trade-offs of different versions of the future. It allows the user to openly challenge long-held beliefs on what is possible, and encourages a debate based on facts and analysis, not just opinion. The Department of Energy and Climate Change (DECC) developed the 2050 Calculator to model the UK. However what we have created is a very flexible structure that can be modified to take into account structural differences between the UK and other economies. This has meant that we have already been able to support teams in China,South Korea, India and Taiwan to adapt the methodology to fit their reality. DECC is providing £1.5 million from the UK’s International Climate Fund (ICF) over 2012-2014 to work directly with 10 developing country governments to help them build their own version of the 2050 Calculator. The DECC team who created the UK Calculator are providing technical advice over this period, as well as funding to facilitate the development process. Through engaging in a dialogue around the 2050 calculator, involved countries are encouraged to evaluate their unique opportunities and risks towards low carbon development. Countries participating in this project include India, South Africa, Brazil, Mexico, Bangladesh, Indonesia, Thailand, Vietnam, Colombia, Algeria and Nigeria.